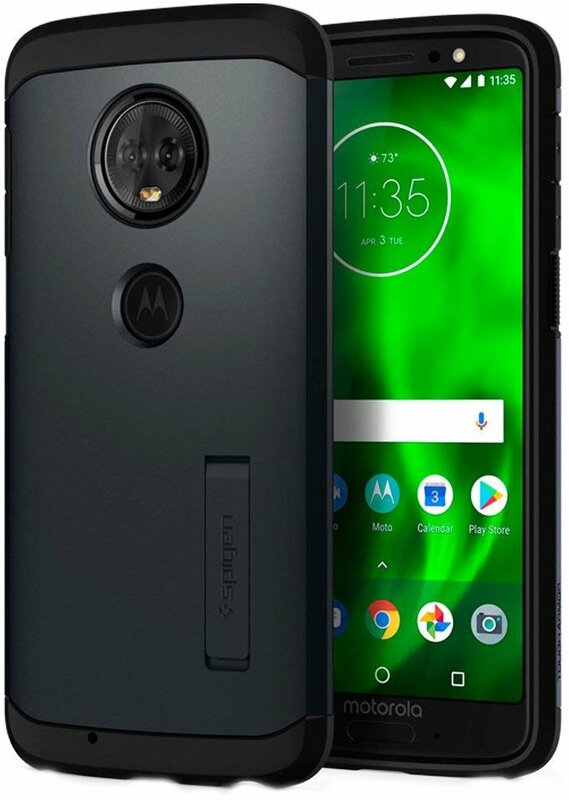 Motorola's budget beauty, the Moto G6, is covered with glass front and back, so it definitely needs a case. I love the Spigen Rugged Armor's incredible durability, letting the phone take a bit of abuse, but if you're looking for something less in-your-face, Anccer's Ultra-Thin case is pretty great, too. As a phone available worldwide, case makers have plenty of options for owners to pick from. Here are your best bets! Spigen's Rugged Armor case is my go-to case style for any new phone, so I'll definitely recommend it here for the Moto G6. It's got that carbon fiber look at the top and bottom with a matte finish elsewhere, along with Spigen's air cushion technology in the corners to help absorb impacts. Combining a shock-absorbing TPU sleeve with a rugged PU shell, Spigen's Tough Armor is ruggedly handsome, even with a kickstand carved into its back. It's a bit pricier than the Rugged Armor case, but if you're tough on your phones you'll appreciate the extra padding. 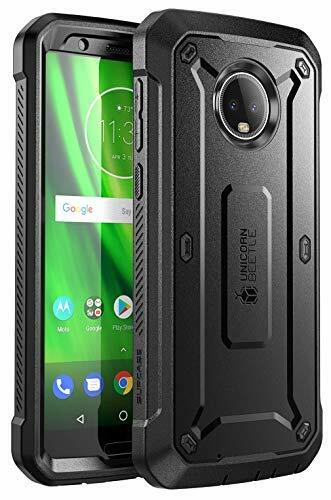 The Unicorn Beetle Pro is an iconic rugged case style that's available for most flagship smartphones, offering a streamlined, lightweight design that feels comfortable in your hand while providing outstanding protection for your phone. This case also includes a front cover with a built-in screen protector. For those who prefer a case that defends from drops and dings while letting you show off the design of your brand new phone, consider this clear case from Cimo. With raised bezels around the screen and around the camera bump on the back, this case comes in three styles: crystal clear, opaque black, or semi-transparent purple. This sleek, one-piece TPU case offers a nice soft touch finish without adding unnecessary bulk. The web-like structure on the interior of the case is designed to help dissipate heat as you use your phone. While the black is the cheapest of the three colors, the Red and Indigo Blue are worth a few cents more. This may not be quite a full "wallet" folio case, but let's face it, wallet folios tend to lose things anyway. This case comes in 5 darling colors, including a ruby red and turquoise blue, and in addition to the folio doubling as a multi-angle kickstand, you can use the case closed while talking on the phone. A silicone body and polycarbonate bumper provide heavy duty protection for the Moto G6. The backside is dotted with raised bumps to help with grip — because the best way to prevent damage is to avoid dropping your phone in the first place. Available in black, grey, red, and orange. Another great dashingly durable option for the Moto G6 comes from Poetic. The Karbon Shield case is lightweight and slim with a carbon fiber-style finish on the back that's both stylish and functional. Anccer's low-profile case mainly protects the corners and back, leaving much of the button area and top/bottom of the phone clear. This is certainly not for heavy-duty activity, but the textured back makes the G6 easier to handle. Six slick colors are available, from Smooth Red to Green and Gray. Cimo's low-profile case doesn't add much bulk to the Moto G6 while still encasing all of the buttons and ports. A small lip around the screen guards it from falls and another lip protects the camera bump. This matte case can be had in three colors: black, purple, and silver. If you'd like to combine your wallet and phone case into one, this gorgeous pleather option from icarercase is one of your best bets. It comes in three colors, has three card slots, a cash slot, and a hidden magnetic closure for a streamlined look. The LeYi case combines fashion and durability, leaving you with a phone case that'll satisfy all your glittery needs. It has a silicone inner case for a more comfortable fit around your phone, and a tough, plastic outer shell to keep it safe from impacts. Are you a clear case connoisseur or a fan of folio cases? Does your lifestyle require the rugged protection of our favorite Spigen Rugged Armor or something fabulously fashionable like the deliciously red Anccer Ultra-Thin? Whatever your style, there's a Moto G6 case for it.